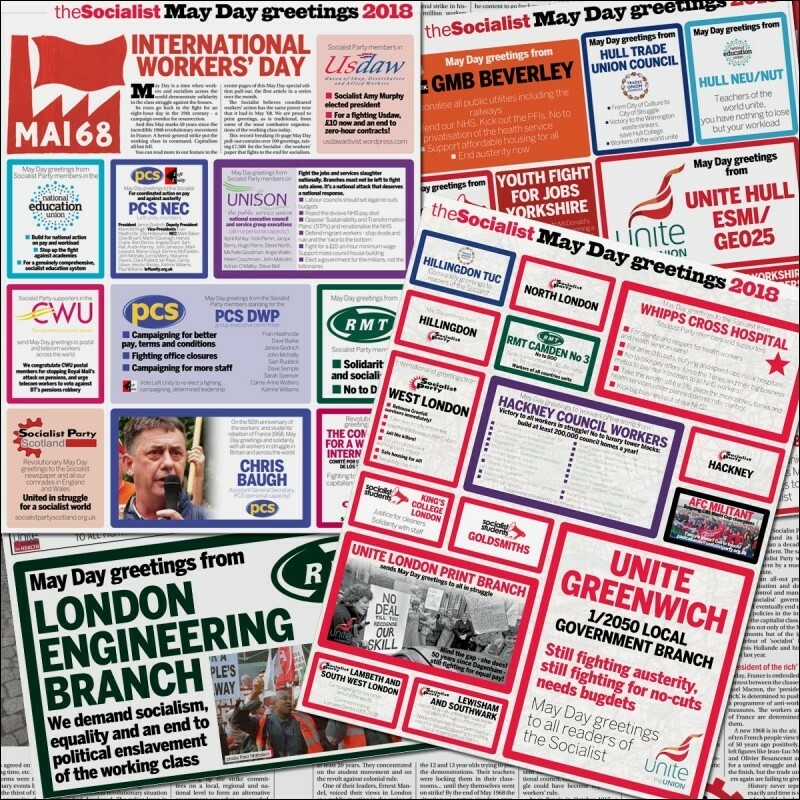 Socialist Party :: Help build the workers' press: send May Day greetings to the Socialist! The early-bird deadline for May Day greetings is fast approaching! We want full payment for as many greetings as possible by 5pm on Friday 29 March, the cut-off for the 20% advance discount. 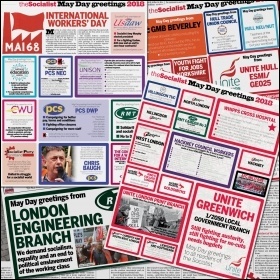 Every year, groups of workers, trade unionists and community campaigners send paid greetings to the Socialist on International Workers' Day. These vital expressions of working-class solidarity help spread socialist ideas and fund the Socialist newspaper. Make sure you're visiting workplaces and picket lines with our May Day sign-up sheet to collect contributions towards a greeting. 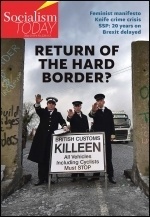 Send motions for a greeting to trade union bodies now. And don't forget the student societies and community campaigns! 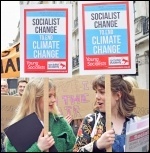 The final deadline for May Day greeting pledges is 11 April. Getting greetings agreed can take time, so don't miss out - get those greetings in now!